In a quarter of a century, WPP has gone from a shopping baskets manufacturer to the world's biggest marketing services group. So where does it go from here? Sir Martin Sorrell talks to Claire Beale. WPP's 2010 annual report begins by trying to explain "Why We Exist". For anyone who has ever pondered the issue, WPP's answer (the short version at least) runs thus: "To develop and manage talent; to apply that talent, throughout the world, for the benefit of clients; to do so in partnership; to do so with profit." Don't imagine that the order of the mantra is arbitrary. The longer version explains that WPP exists to relieve its operating companies of the burden of administrative work (budgeting, legal affairs and such like), that it encourages collaboration between the different disciplines represented by its individual company brands, and, finally (and perhaps most significantly) that WPP itself can function as the 21st-century equivalent of the full-service agency. 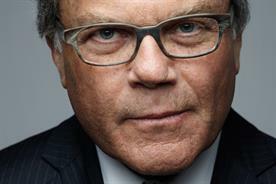 Twenty-five years after its inception ("It's gone in a flash," Sir Martin Sorrell, its chief executive, says), WPP is finally emerging as a coalface brand. But, in truth, WPP's rationale isn't much different from the one conceived at its launch a quarter of a century ago. WPP - born, of course, out of the supermarket basket manufacturer Wire & Plastic Products that Sorrell bought in 1985 - had global, scaled ambitions from the start. "If you look at the very first press release we put out on 9 May 1985, it talked about building a major multi-national marketing services company," Sorrell says with a precision that illustrates the momentousness of the event for him. "We sat there thinking we wanted to build a substantial company. We always thought we were going to do something on scale. And we went from a market cap of £1 million to £150 million by doing 18 deals in the next 18 months. But if you'd asked me 25 years ago if I thought we'd end up with over 100,000 people or £14 billion of revenue, or £65 billion of billings, the answer is probably no." But here we are, 25 years, more than 150 companies, 138,000 employees, 2,400 offices in 107 countries later, and there's no question that WPP has more than fulfilled its initial promise. It is now the world's biggest marketing services group. And its founder is determined it won't stop there. The recession has put something of a brake on ambitions, but when WPP announced its first-quarter results, Sorrell was able to find some positive news. The company reported revenues of £2.1 billion, down 1.82 per cent year on year, but on a like-for-like basis, excluding the impact of acquisitions and currency fluctuations, group revenue was flat. And by March, WPP was seeing revenue on the bounce, up by 1 per cent, the first monthly revenue growth year on year since December 2008. "I didn't think I'd ever celebrate flat," Sorrell admits. Now he's insistent that growth is back on the agenda. And growth, to Sorrell, is never simply something that happens organically. Fast-growing markets and digital marketing will be the focus of WPP's next round of acquisitions, and though we might have seen the end of the mega-deal (for now), the volume of purchases WPP is likely to consider over the next year will be as high as ever. Yet after a quarter of a century of relentless growth, Sorrell is surprisingly clear on one thing: "I think there are pitfalls in size. Our business, with the exception of media buying, does not lend itself to economies of scale. Conflict is still an issue for clients. And the perception among clients is that the bigger something gets, the worse it gets. So there are issues." On the other hand, "in a recession, size tends to win out". So the next phase of WPP's life will have a focus not on growth for size's sake, but on how best to organise the assets it already has to serve clients more efficiently and effectively. "My pet theory," Sorrell, whose pet theories have a fair chance of becoming others' strategies these days, shares, "is that we'll have more global and we'll have more local: more WPP team leaders and more WPP country managers. But you'll still have the vertical brands." Which will come as a relief to quite a few of those hundred-thousand-odd WPP employees at titans such as JWT, Ogilvy and Young & Rubicam. "If we were sitting here in 25 years' time, the operating brands would still be important, particularly from an internal point of view and from a motivational point of view, and bearing in mind those size issues and conflict issues. 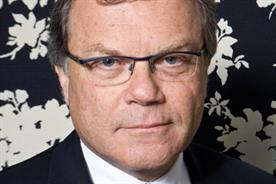 But the balance will be more to integration through WPP," Sorrell says. Blue Hive is a good example. The unit was launched by WPP this spring to handle the through-the-line Ford of Europe account, pulling together all WPP staff who work on the business, whether they're from Ogilvy, Wunderman or Mindshare, into a dedicated Ford mini-agency. The model replicates the approach taken by WPP for Ford in the US, called Team Detroit. Perhaps it was inevitable that WPP should become a more client-facing entity, even without the impetus for integration increasingly being demanded by clients. Sorrell himself is famed for his phenomenally energetic micro-management style, a blessing and a curse for his employees. He's certainly ever ready to help out on a pitch, to glad-hand clients, to push through problem-solving, and is marvelled at (and cursed) for his 24/7 availability. For some clients, there's a clear sense that they're buying Sorrell and WPP rather than necessarily one of the operating brands. But back to why WPP exists, for a moment. The very first thing it insists on is that WPP is there to "develop and manage talent" and then "to apply that talent, throughout the world, for the benefit of clients". As Sorrell's empire moves towards more centrally organised, client-focused teams, it's the talent rather than the culture of companies such as JWT or Ogilvy that takes precedence (for WPP itself defies cultural tagging). And when I meet Sorrell for this interview, talent is an issue he's bursting to address. It's not an area observers naturally identify as one of his strengths. If anything, the reverse. He has no clear, public succession management plan, for example, and some of his senior lieutenants have survived within the WPP fold long after their sell-by date. On the other hand, the WPP Fellowship, which offers the best graduates training in three disciplines in three geographies over three years, is the best talent management programme of any of the big holding companies. Sorrell says: "Let me get this off my chest. I think our industry is very poor at looking after its people. The way that we find people is by stealing. Our industry is desperately poor at recruiting, training and committing to good people. It's a terrible indictment in our industry. If you need somebody, you nick 'em and I think that's totally wrong. That's one of the fundamental things, in my mind, that will have to change, otherwise the industry will just get weaker and weaker. The lifeblood is the investment in people." And Sorrell is as quick to enumerate WPP's HR shortcomings as he is those of his rivals: "We spend far more time on the £350 million we spend on buying computers, office buildings and the like. And far less time on the £9 billion that we invest in people. About 60 per cent of our investment every year is in people. Yet the number of times we make decisions about hiring people, investing in people where it turns out six or nine months later to be the wrong decision. Now I'm not saying you shouldn't encourage experimentation, but that is a real issue. And nobody thinks about it." Then again, he seems pretty convinced that part of the problem lies in the calibre of the people advertising attracts these days: "We as WPP should be doing more, but we don't get the traction, to be frank. Particularly with the second-degree graduates. Placing the second-degree graduates after the three-year programme is very difficult because they have expectations built up by business school, by art schools about levels of compensation etc, which are often out of kilter. I mean, why do we owe these people a living?" Of course, he's perfectly placed to effect an improvement in the image advertising has with the best graduates, to draw them in and then convince them to stay. What is he doing about the problem? Typically, he gives the issue his economist's spin: "We're trying hard to be better at managing our people. People are not a cost, they're an investment, and we've got to be better at managing that investment." You see, even when it comes to issues such as talent management, Sorrell deploys the language of finance and the City. He can't help himself. It's perhaps why some critics have felt it legitimate to attack him for making the advertising industry too much about the business of business, at the expense of celebrating and protecting creativity and the people who create. But the suggestion that he's sacrificed the industry's unique creative positioning in the pursuit of profits and margins is something Sorrell visibly bristles at. Such talk is both naive and offensive, he insists: "We can't sit here saying there's some sort of precious creative bubble we have to preserve. The idea that creativity is only resident in advertising agency creative departments causes a lot of problems. It's simply not true. That's a very narrow view of creativity, that view that suggests creativity lurks in a 60-second TV ad. One of the problems that the industry faces is that clients don't see it that way. "My view is that this company will have the very best creative people but in the broadest possible sense: in strategic thinking, in data analysis, in media, as well as in traditional creativity. There has to be a sharing of influence and an acknowledgment from the storytellers that the other parts of the process are important. We have to open our minds because clients want to explore every avenue." Unfortunately for the marketing services industries, clients are less willing than ever to pay a fair price for that service, though. Again, Sorrell shifts into campaigning mode: "The marketing function is less important inside companies today. The relative importance of finance, procurement, cost has got out of balance. We have to make a much more compelling case for the importance of the investment in what we do. We have to have more clever people who are properly trained and engaged, otherwise we will become even less important. "Today, the stature of the industry isn't strong enough because we haven't articulated our case. We don't say 'we add value'. Yet clients are more reliant on us today than they've ever been because they've outsourced so many of their functions and they're under such cost pressure. I think that's an opportunity for us, but we haven't translated that opportunity." Again, as the most visible, vocal and respected (at an investor level) of his peers, Sorrell is well placed to drive such messages home among blue-chip chief executives. Why is he not more strident publicly on the issue? It's a question he doesn't answer, though as a possible solution he offers a more emphatic shift in the way agencies are paid: "We have to take greater parts of our remuneration in the form of incentives tied to performance. I think that what we do is increasingly valuable as technology continues to make the world more complex and I think that what we do is being mispriced." Of course, Sorrell has never pretended to be anything other than a businessman, an accountant, a financier, an economist. It's what's made WPP the indomitable global force it is and it's how he came to first work in the industry. He joined Saatchi & Saatchi in 1975 from James Gulliver Associates, a management and investment consultancy that had advised the Saatchis on their takeover of Compton. When the Saatchi brothers were looking for their first finance director, they could find none better than Sorrell. Could he have been as successful in any other business, then? "I came to this by accident," Sorrell admits. "I was simply looking for an industry that didn't have great barriers to entry. But the thing that appealed to me that was that you are only as good as your last ad; it's an industry based on raw talent." And since launching WPP, advertising has, of course, become much more than simply a job: "For me, I always use that football analogy: 'WPP's not a matter of life and death, it's more important than that.' I do think WPP takes a longer term view and I do think that founder-managed companies do behave differently, particularly in a recession. Now, I only own one-and-a-half per cent of the company, but I started it 25 years ago in a tiny room, so my attitude is very different. This is not a job, by any stretch of the imagination. This is much more personal than that." A quarter of a century on, and that is still what makes WPP different, he believes - this personal, all-consuming obsession. And it shows no signs of dimming: "I think the industry is more interesting today than it's ever been. It's more challenging but it has more opportunities than ever too."